A detailed oval miniature resin base depicting an urban rubble scene ideal for numerous sci-fi wargames . 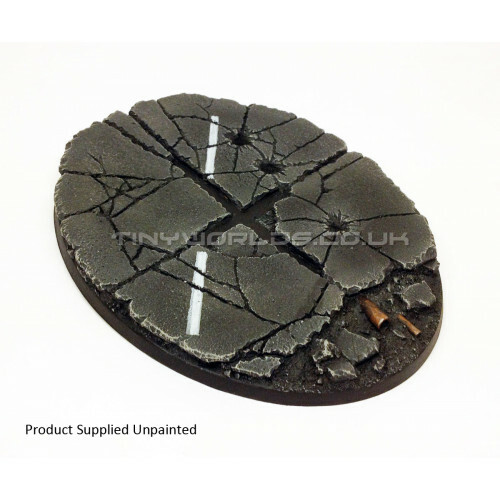 This base measures 120mm x 90mm at its centre points and is the perfect way to finish off your centre piece model for your army. Please note that this base features a cross shaped cut out in the centre to fit a standard flyer stand. Flyer stand not included.